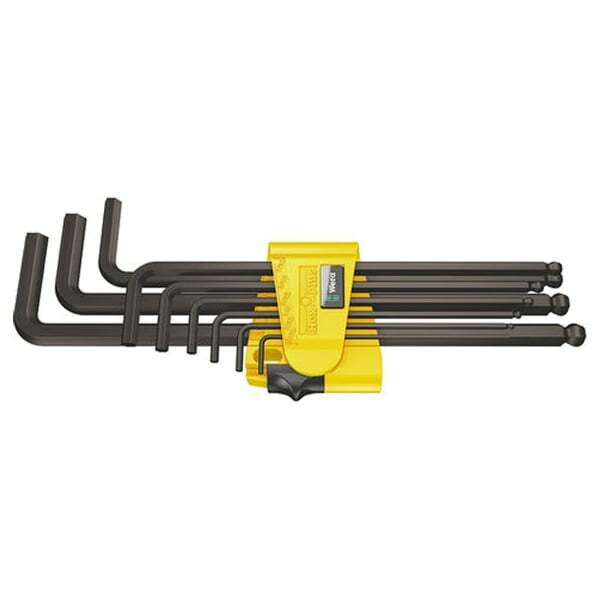 High grade steel hex key set with Wera's patented Hex-Plus profile. This enables 20% more torque to be applied without damaging and rounding out the socket screw. 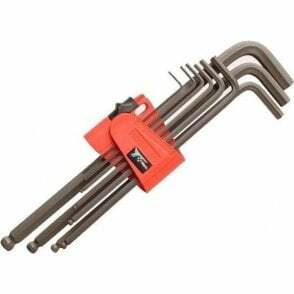 Often with a damaged screwhead these hex keys will undo the screw where others fail. High corrosion protection due to the BlackLaser surface treatment. Practical rubber clip keeps the keys secure. Ball-end tip on long arm gives better access to restricted areas. Patented Hex-Plus; apply 20% more torque without damage. High grade steel for long service life.